Is this a natural treatment for sunspots? This small and fragile looking plant has more substance to it than meets the eye. The latin name is Euphorbia Peplus but it is generally referred to as Petty Spurge or Radium Weed. We prefer to call it Petty Spurge as that's one of the more familiar labels and sounds a little less harsh minus the reference to "weed". This wild herb has often been dismissed by many as a nuisance in the garden because of its propensity to pop up anywhere and spread quite randomly. The plant has only really been given more respect in recent times as many believe it has serious therapeutic benefits. 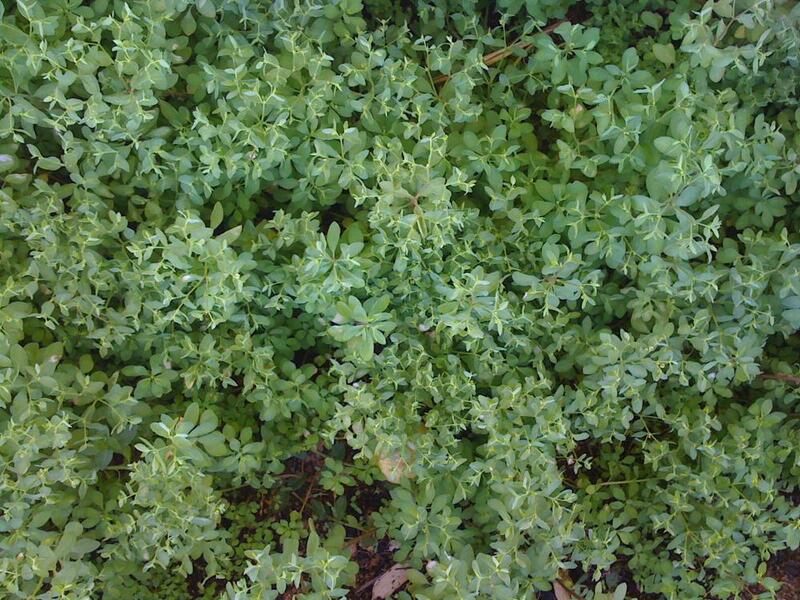 Folklore has, of course, been espousing the benefits derived from Petty Spurge for centuries! In Australia, Petty Spurge is not classed as a noxious weed but it does grow rapidly and will self seed with very little help. An annual, the plant will grow to an average height of around 20cm (8 inches) and has a smooth single stem at the base with a green/red tinge. This stem will divide into branches and each branch will divide further. Both the stem and branches contain a milky white sap which can be toxic if ingested. It will happily grow in part shade to full sun throughout the year. Euphorbia is named after the Greek physician Euphorbus who first recognised the medicinal value of this herb back in the 1st century B.C. The true origins of the plant are a little vague but it is considered to be native to Northern Africa, most of Europe and Western Asia where it can generally be found in cultivated arable or disturbed land as well as domestic gardens. It is now widely naturalised in North America, Polynesia, Australia and New Zealand. The plant is thought to have been introduced to Australia and New Zealand by the early settlers who brought it with them for its medicinal benefits. In Australia Petty Spurge can be commonly found in Southern Queensland, throughout New South Wales, Victoria, Tasmania, parts of South Australia and the Southern parts of Western Australia. It can be spotted in gardens, bushland and along coastal areas. Although quite a distinctive plant it is part of the Euphorbiaceae family which includes other herbs, trees and succulents. Many of these plants contain milky sap, but Petty Spurge is the only member of the Euphorbiaceae family that produces the correct chemical combination considered useful as a topical treatment for specific skin ailments. If you are not sure you can easily identify this plant it would be best to purchase from an authentic seed supplier, herbalist or nursery. Petty Spurge is not a rare nor expensive herb and will self-propagate easily so that you should only need to purchase once! DISCLAIMER: This site is intended as an online reference for those interested in the plant known as Euphorbia Peplus, commonly referred to as Petty Spurge or Radium Weed. Whilst the authors of this site openly recognise there may be a therapeutic value, they do not seek to promote the plant or any substance produced by the plant as an alternative to professional medical intervention or advice. If you would like more information on this plant please email us at: enquiries@bodyplantsaus.com or complete the contact form on ABOUT US page. We answer all enquiries!